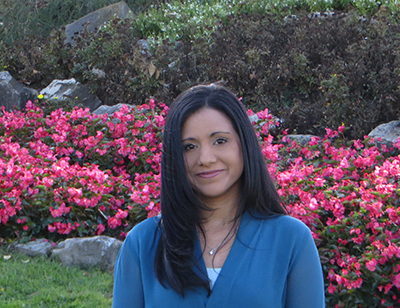 Dr. Vanessa D’Costa started as an Assistant Professor in the Department of Biochemistry, Microbiology and Immunology in 2018. Her research focuses on understanding the host-microbe relationships underlying bacterial infection. My research background is in biochemistry, microbiology and cell biology. My B.Sc. and Ph.D. were both in Biochemistry, but I trained in a program that also had a strong microbial perspective. I earned my Ph.D. under the supervision of Dr. Gerry Wright at McMaster University’s Institute for Infectious Disease Research. As a trainee, I was always fascinated about the phenomenon of drug resistance, and the concept that no matter what complex molecules scientists discover to kill bacteria, these microbes ultimately find a clever way to evade it. My doctoral research mainly focused on understanding antibiotic resistance from an evolutionary perspective, trying to gain a better understanding of where resistance comes from and how we can use this information to think one step ahead of resistance. Moving forward, I thought it was really important to gain a deeper understanding of the opposite perspective – how do the pathogens themselves actually cause infection? That interest brought me to the Cell Biology Department at The Hospital for Sick Children, where I trained as a postdoctoral fellow with Dr. John Brumell. At SickKids, my research focused on understanding how host cells use cellular immune responses to prevent infection, and how bacterial pathogens target these processes to cause infection. Tell us about your research? Symbiotic relationships, involving close interactions between different organisms, exist everywhere in nature and are an important part of every ecosystem and ecological niche, including our own. Within our bodies, we form symbiotic relationships with bacteria. This includes interactions with both our microbiome and the pathogens that cause infection, and ultimately results in the survival of the bacterium within the host. My lab’s research focuses on better understanding the intricate relationship between the host and microbe. We are especially interested in understanding how bacteria use a specialized class of virulence proteins called effectors to mediate infection. We are interested in two pathogens that are on the WHO’s radar as “priority pathogens,” requiring urgent attention by the research community: the foodborne pathogen Salmonella Typhimurium, which has a broad host range that includes humans, livestock, birds and domestic animals, and the multi-drug resistant pathogen Acinetobacter baumannii, notorious for its ability to cause outbreaks in hospital settings. We use a combination of cell biological, biochemical, and molecular genetic techniques to study host-microbe relationships, and take advantage of fluorescence microscopy approaches to monitor both host and microbe during infection. What are some applications of your work? Understanding the intricate mechanisms underlying infection can provide important clues as to how we can target infectious microbes therapeutically. Given the challenges of discovering new antimicrobials, scientists will have to come up with more creative ways to treat infections. Infection-directed therapy, designed to target the bacteria’s ability to cause or maintain infection, is a relatively new and promising field, one that I think will generate many new drug candidates in the future. Understanding host-microbe interactions can also provide us with new tools to study host cell biology, and equally important, can uncover new fundamental processes that contribute to the host cellular immune response. Every year, host-microbe researchers discover new host pathways involved in immunity by studying the virulence factors that cause infection. What got you interested in host-microbe interactions? Most of my doctoral training was spent studying the type of environmental bacteria that make the majority of natural product antibiotics in clinical use today. This gave me a unique understanding of how these complex bioactive molecules are synthesized, what makes a good drug, and what kind of creative questions we can ask to identify new drugs. Because of how difficult it is becoming to find new drugs using traditional in vitro killing assays, the next generation of drug discovery is moving toward using more creative strategies and more complex systems to identify bioactive molecules. I was attracted to this field because the tissue culture-based host-microbe model of infection is a powerful system to ask such questions. It can be easily manipulated (for example, we can silence gene expression, express tagged versions of proteins so we can track them), there are an infinite number of assays we can use to look at the effects of infection on host cell biology, and the system can be scaled down to develop screening assays. What’s an interesting thing about you that we wouldn’t learn from your resume? I love the outdoors and outdoor sports – it’s actually one of the reasons why I was excited to come to Ottawa. I grew up outside of the city, and I love that you don’t have to go far from the heart of Ottawa to find large stretches of green space, and beautiful trails and conservation areas. I’m looking forward to exploring these as I get to know the area.